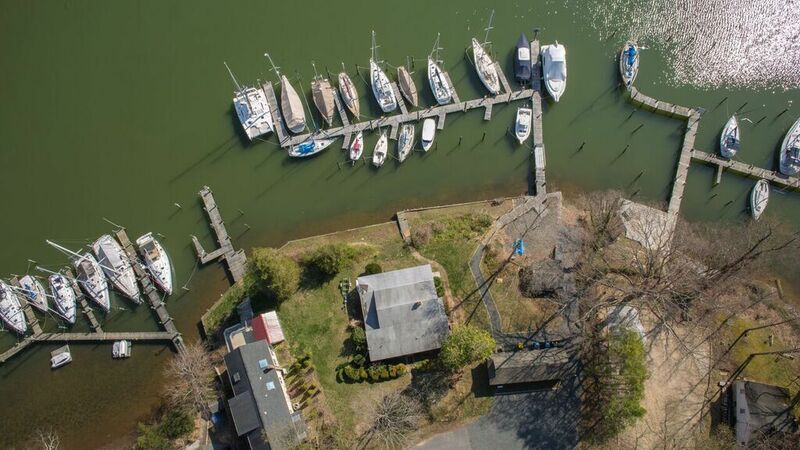 Orchard Beach is nestled safely in Mill Creek yet provides boaters quick access to the Chesapeake Bay. With deep water access and worry-free floating docks, the marina is able to accommodate vessels from 25ft to 80ft in length. Orchard Beach Marina slipholders are provided with exceptional and unparalleled maintenance and repair services. Through our Yacht Services, slipholders are able to schedule services with ABYC technicians and licensed USCG captains. Slipholders can receive in-slip services during the boating season. Each slip is equipped with electricity, fresh water, and wireless internet. During your time at berth, you can also refresh yourself in the modern bath house. Our quiet and peaceful marina within a gated community houses more than 200 wet slips ranging from 25ft to 115ft in length. Of those slips, 21 have boat lifts capable of holding vessels up to 15,000lbs gross weight. All of the slips are equipped with fresh water, electricity, and WiFi. We offer boaters annual, seasonal, and monthly leasing options in addition to transient and brokerage rates. Call the marina office at 410.268.1969 or click here for more information and pricing. Our marina houses 81 wet slips ranging from 25ft to 50ft in length. Of those slips, 21 have boat lifts capable of holding vessels up to 15,000 lbs. gross weight. All of the slips are equipped with fresh water, electricity, and WiFi. We offer boaters annual, seasonal, and monthly leasing options in addition to transient and brokerage rates. Call the marina office at 410.269.5219 or click here for more information and pricing. Our marina houses 51 wet slips ranging from 25ft to 70ft in length. All of the slips are equipped with fresh water, electricity, and WiFi. The boatyard houses a drystack storage rack for flexible-term storage of vessels up to 32ft in length and up to 12,000lbs gross weight. We offer boaters boaters annual, seasonal, and monthly leasing options in addition to transient and brokerage rates. Call the marina office at 410.437.0402 or click here for more information and pricing.